A stylish petite wrap jacket, fully lined, fastens with a single button on the inside and ties to the front. Fitted perfectly to a petite torso to cut just above the hips accentuating the waist. 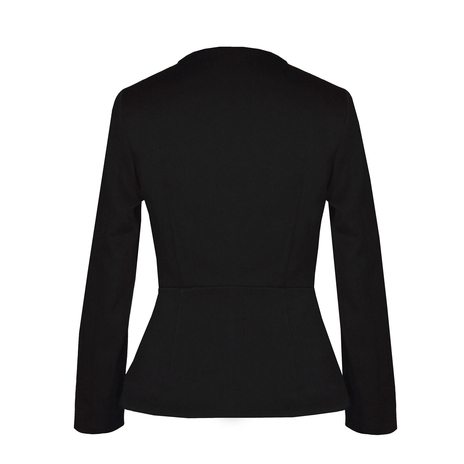 Petite jacket length from the highest point of the shoulder to hemline is 55 cm. A black wrap jacket brings endless versatility to your wardrobe! Pair with a pencil skirt, shift dress, bodycon or jeans. Wear it over a cami at work. Since the neckline is modest, the jacket can be worn as it is, securing the wrap with a tie pin.